Karo has been practising yoga for over 12 years and in 2012, founded Trimurti Yoga in Goa, along with her husband, Ajay Sharma. Trying to keep a balance between East and West Karo teaches in India and Europe. India is one of those fascinating places which you cannot simply describe! For some people India means one of the oldest of the world’s civilisations, for some – magic and spirituality, and for others – poverty, dirt and danger. I would say India is the universe – you can find here absolutely everything: modern and old-fashioned, rich and poor, loud and silent, dry and humid, spiritual and commercial, modest and fancy, spicy and sattvic…. The variety of the Indian reality is beyond any expectations, and most probably no one can really prepare you for this experience, but there is no doubt that India is an amazing place to visit, to learn from, and to connect to the roots, to yourself. 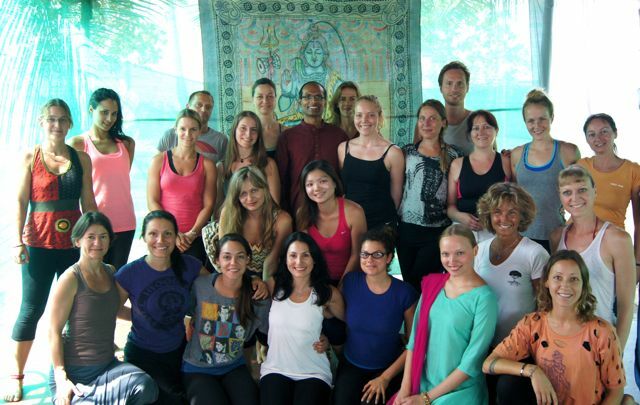 Doing a yoga teacher training course is one of the best reasons to visit India, and get out of this experience much more than just technical asana training and a certification. The first reason is obvious – India is the motherland of yoga. At a certain point if you want to understand its essence, you need to explore yoga’s origins from up close. In the west, you might feel that yoga means asana practice, a fitness style, a set of crazy positions for losing weight, or exercise for joint flexibility, but yoga has much, much more to offer. The tradition is deeply rooted in spirituality and the ancient Vedas, now thousands of years old, is still alive here, and can inspire you to go to a deeper level. You will not only learn about the philosophy of yoga, but you will be able to see what it actually means. Feeling the yogic spirit and meeting traditional yogis can help you to discover and enrich your yoga, your values, your own way. Different paths of yoga, such as bhakti (yoga of devotion), or karma (yoga of action), still so evident in India, can open new gates for your practice and help you to become a better teacher, a better yogi or yogini, and a better person. In yoga, as well as in the teaching profession, keeping an open and fresh perspective is one of the most important values. To protect yourself from a mechanical routine, you need to leave your comfort zone for a while (just like you do on your mat), and open the heart for the new. It’s the same as when you meet your future students and teach them without pre-conceptions, without conditioning, without judgment. India is very different from what we are used to at home, in our countries, cultures or geographical locations. ‘Different’ does not mean ‘worse’ though. India presents you with challenges and opportunities to learn, grow and develop. By being in such a different reality you test your habits, adjust your routine, review your definitions. You need to explore. You will try different tastes, meet different people, face different situations, and learn how to react to them. Basically, you will meet yourself once again, but in a different context, and that’s how you learn and grow. Not everything will be smooth and easy, but this is how it works. So if you want to develop both your yoga and teaching skills, a teacher training course in India will help you leave your old well-known frames of reference, and open up for the NEW. 3. Meet the world and your soulmates! Sitting in a circle during a yoga teacher training course, you will see the whole globe in its micro version. People from every corner of the world, each continent and time zone come together, to explore the roots of yoga. They are curious about its real taste, need to explore its essence, and are hungry for Sanskrit and contemporary use of ancient scriptures. Most probably they are all just like you – with different stories and inspiring dreams, yet with different accents, experiences and needs (as they say in India ”same, same, but different”). Yoga unites us all. India brings us to the fundamentals of yoga, taking us for a journey in a time machine from a long time back to now. Friendships made at teacher training courses in India last forever, and are really deep. 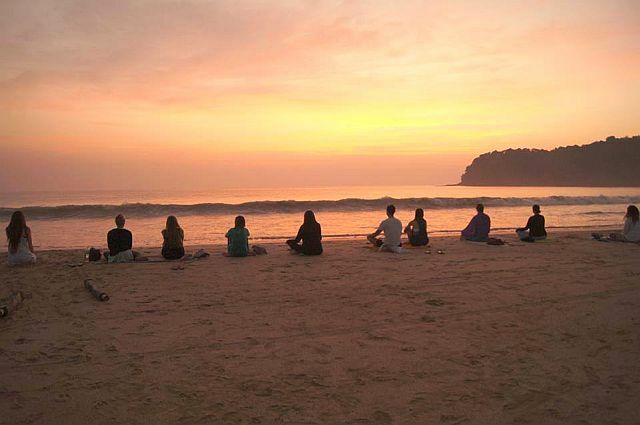 Then there are the unforgettable moments while performing kriyas (cleansing processes) together – this connects you for life! While the west is attracted mainly by the physical aspects of yoga, in India it is not all about the body. The re-connection to the holistic perspective of who we are seems to still be the strongest principle of yoga in India. The control of the body or health of the body are just the tools, the steps towards higher aims, which can be the joy of life, freedom from sorrows, mental balance, or peace (known today as stress management!). Staying in harmony and being in a state of transcendental happiness (unconditionally and eternally) were the main goals of old yogis. The body was only the means, not the aim, therefore real yoga masters and gurus never allow forcing or pushing, and never allow violence. And they never tried to impress anyone. They always suggested surrendering, accepting, letting go and being kind. They might seem ‘boring’ in their white kurtas, practicing without mats (yes, no fancy mats! ), eating dal and rice (no, no smoothies and spirulina). 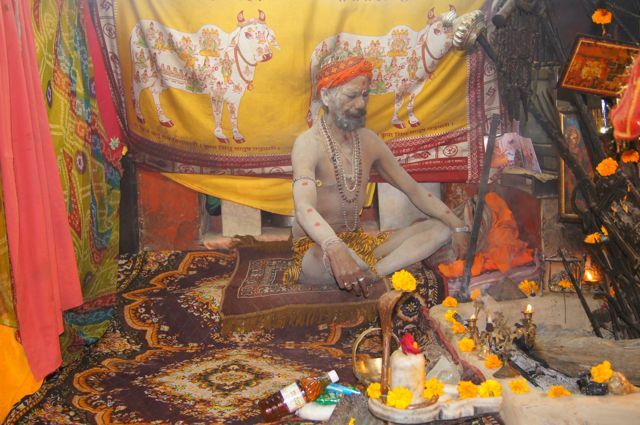 But they possess the real wisdom and live their lives according to the Vedas. Yes, they can read and understand the Vedas or Patanjali’s Sutras without a translator and online apps – Internet in India is too slow anyway! If the physical aspect of yoga brings happiness to people, that’s really great, but what we can learn in India is more focused on how the body is interconnected to emotions, mind, awareness and spirit. It doesn’t really matter if you can do the splits, or how high you can raise your leg. It is not about ’birds of paradise’ or a fancy selfie taken in handstand. Yoga is your own path – for your Self (and not so much for your ‘selfie’), your inner joy – without ego, without pride, without audience. I meet this ‘old school approach’ in India very often, and I love to remind myself why I actually practice yoga. There is one rule though – you need to be open to receive. Students who come to India and complain about not being home, and not having the comforts which they are used to cannot enjoy it as much as students who decide to go with the flow, even if the water coming out of the solar-heated shower is not warm! Remember that the circumstances sent to us by the Universe are sent for a reason. You can take it and handle it, or complain about it. The choice belongs to us – that’s what yoga says. 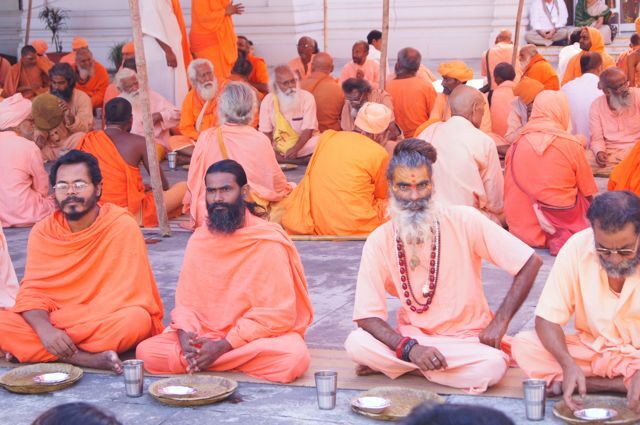 I learned to take cold showers in Indian ashrams, so an ice bucket challenge cannot scare me! Photos courtesy of Ajay Sharma, Trimurti Yoga. By pursuing yoga teacher training courses, candidates will get the deep knowledge of asnas, bandhas, etc. and also get training of how to become a good yoga teacher. After clearing the yoga teacher training courses, candidates will be eligible to teach yoga all around the country and outside the country.